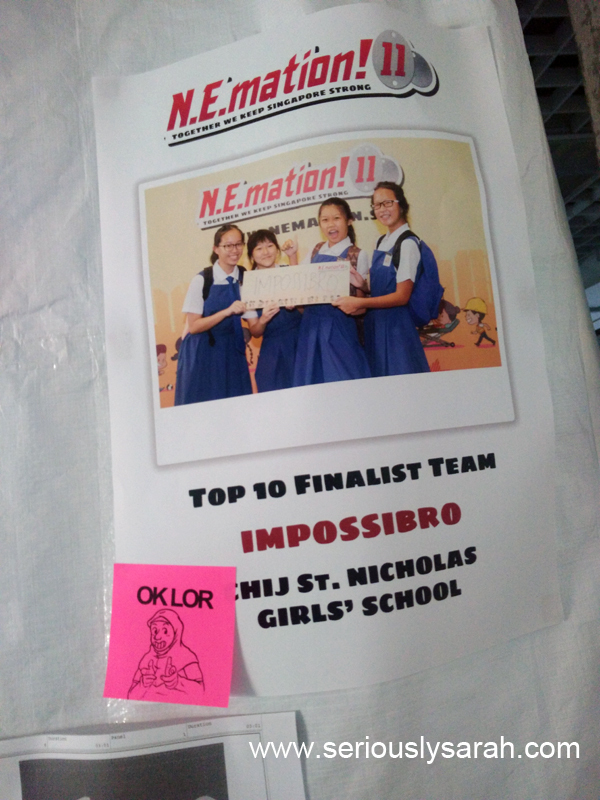 The Impossibro or impossibros are from CHIJ ST Nicholas Girls’ School consisting of Jolene, Pearlyn, Renee and Megan. Nonetheless, they are ok to me too. And while they like to fingergun at stuff and say their tagline “NOTHING IS IMPOSSIBRO”, production has been quite tiring for them! 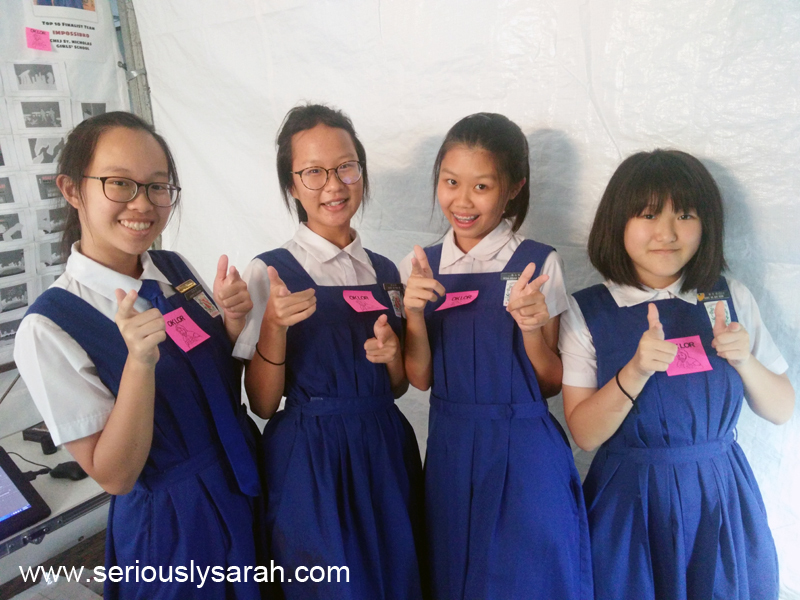 Their animation is a mixed media of 2d and stop motion. Most of the bits are stop motion in which they had to redo some parts because half way the light changed or that their paper moved position. They’re doing scenes where they ‘tear off’ the first layer to reveal the bottom layer and stuff happens. BUT the challenge they face is when the camera somehow moves position(?!) or when the light suddenly dims or brightens… At times. They’re still going to work hard but they’ve made friends with their neighbours too in the bits of time when they have breaks. I think you’ll think “What the heeck” once you see their final product since this one takes a lot of accuracy work to try to make it look smooth. 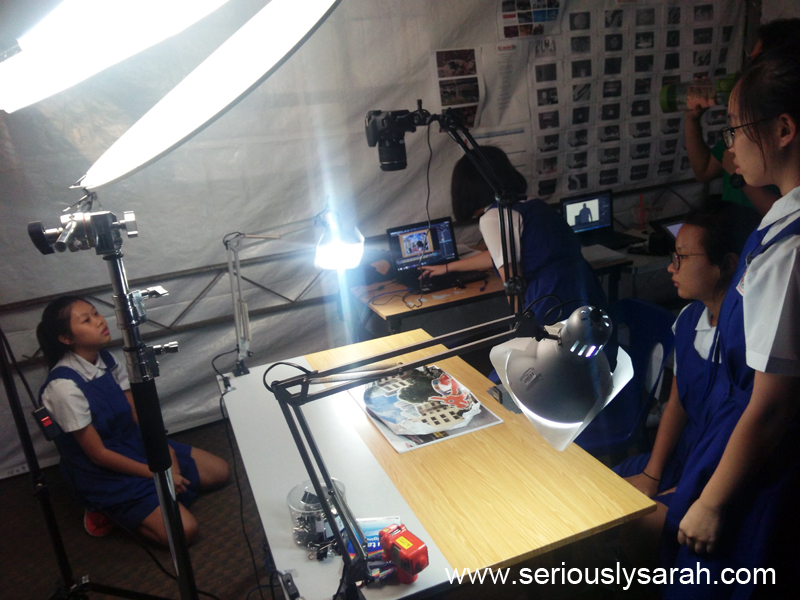 Remember, stop motion is when they have to do it frame by frame manually. Previous Previous post: What tree? Cedar3 !